It happened again! Clayton Early James was stopped by North Carolina State Trooper W.A. Hardison for some traffic violation on December 2. He made a fatal decision to try to resist arrest ... first in his car ... and later on foot. State trooper Hardison jolted 50,000 volts of electricity from his taser into James at least three times. James lost consciousness while Hardison was holding him on the ground after handcuffing him. He died a little while later. Please let this blog know if you find any new information about this taser-related killing. If you look at the record, it seems to be a pattern with this trooper. 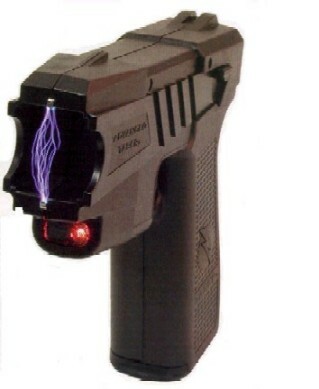 Use the taser in 2 ways. Quick and often. My son was pulled over for a traffic violation and this very aggressive person grabbed him by the arm and slung him in the direction of his cruiser screaming at the top of his lungs the entire time. I guess I should just thank trooper Hardison for not tasting my 16 year old son to death. Thanks Trooper.